When our Autumn Clematis starts blooming at the Inn on Mill Creek Bed & Breakfast in August, that’s generally when we start thinking ahead to the fabulous season that is Fall in the North Carolina mountains. 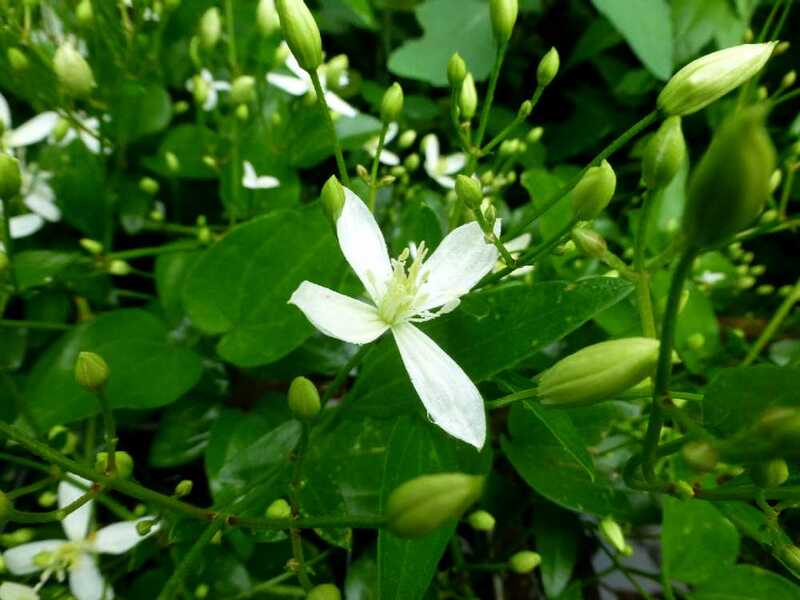 Autumn Clematis at the Inn means Autumn’s on its way! Just two months from now, the brilliant, shimmering golds, reds and oranges will appear at the higher elevations and slowly wash down the hillsides over a six-week period. 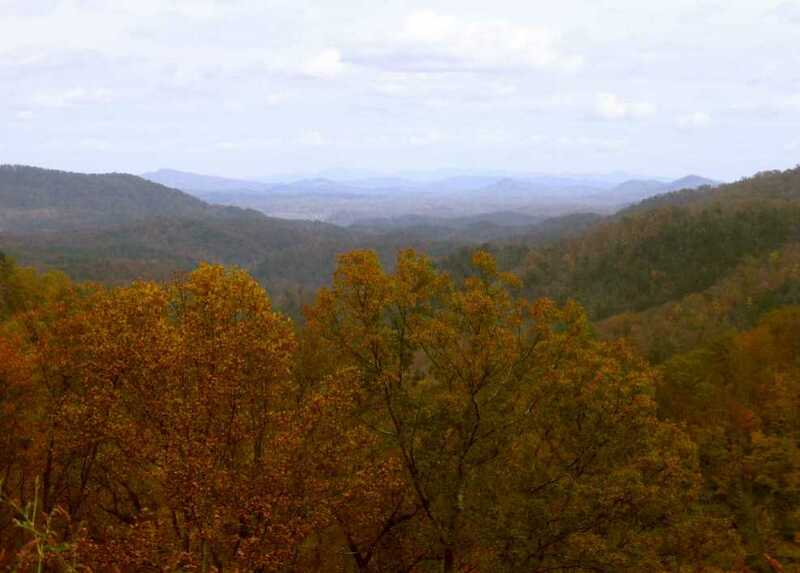 Beginning in late September, through early October, you can find pockets of fall color starting to show at elevations above 5,000 feet along the Blue Ridge Parkway. Then, the first two weeks of October is perfect for being on the Blue Ridge Parkway, hiking around Grandfather Mountain and Linville Falls, checking out Graveyard Fields, and seeing the colors at elevations above 3,500 feet. 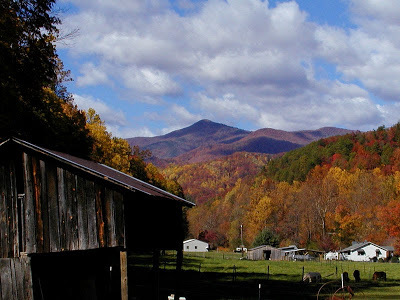 The middle two weeks of October is when you’ll find fall foliage kicking into gear at elevations below 3,000 feet, and Asheville, Black Mountain and Montreat are all good destinations, as well as Catawba Falls in Old Fort. Generally, the time for peak leaf colors at our elevation (2,300 feet) and in our area around Black Mountain and Asheville is October 21-31. To finish up the marvelous fall season in the mountains, the last week of October and first part of November are great times to make day trips to the places such as Chimney Rock State Park. Rooms are starting to fill up fast, so don’t let two months go by before you plan your trip to western North Carolina to see the fall colors. Check our availability here. And keep an eye on our blog — our weekly fall foliage reports begin Tuesday, October 1, and we’ll be sharing what trees are changing each week in our neck of the woods inside Pisgah National Forest, and where the best spots are for maximizing your leaf peeping! This entry was posted in Uncategorized and tagged Autumn / fall foliage by Inn on Mill Creek. Bookmark the permalink.